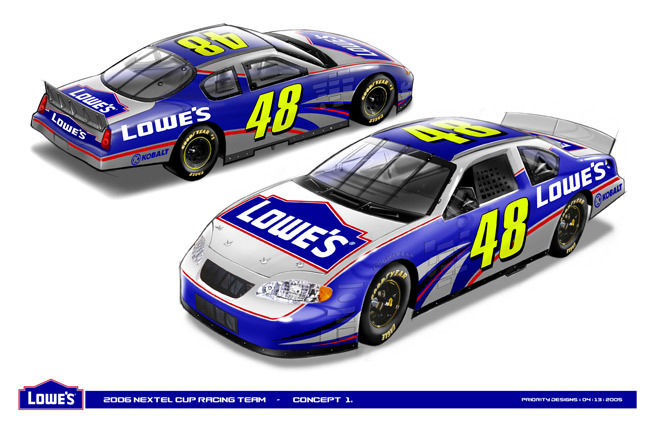 Here's a sample race car paint scheme design from my portfolio. 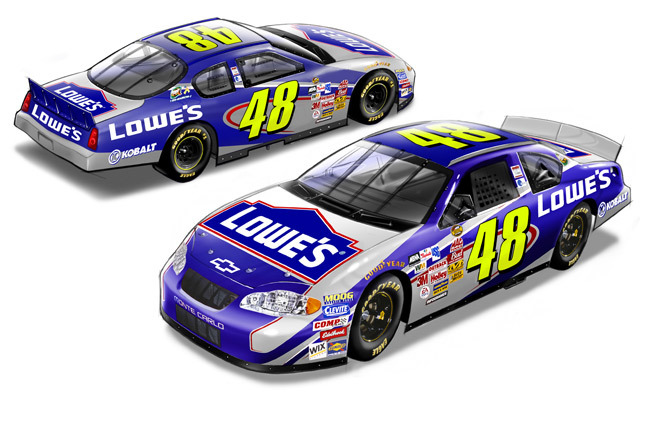 Click here to see other race car paint schemes I've designed. 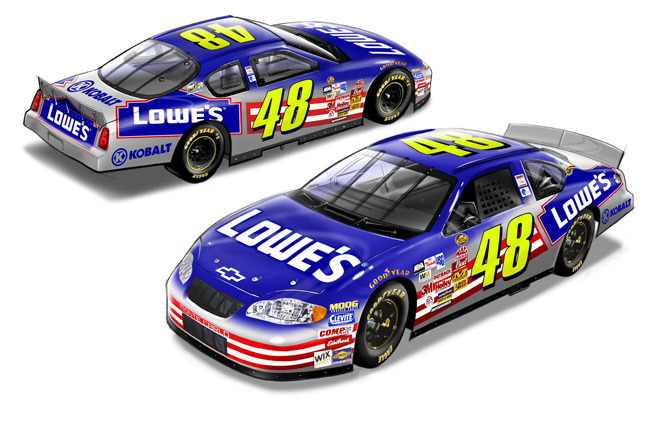 I was asked by a "major home center retailer" to create a series NASCAR paint scheme designs for their NASCAR team. 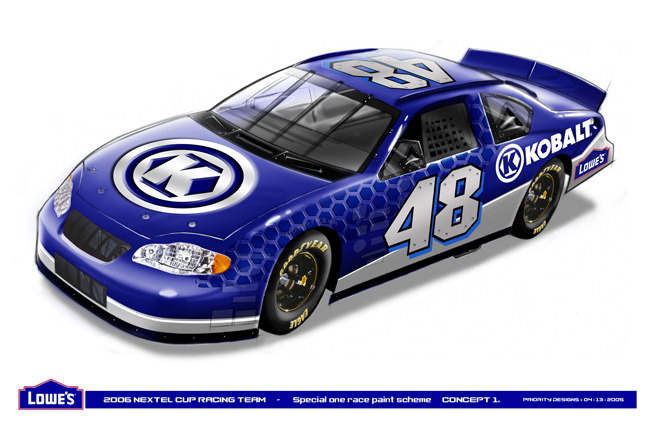 I did these renderings mid way through the 2005 season. They were presented to the client and then 2nd concept down was chosen. Later it was simplified and refined by the clients' in-house designers and is the paint scheme currently in use. The design above was a concept for a special one race paint scheme featuring their line of branded tools. It was never used.